Dubai can sometimes be overwhelming for budget-savvy travelers. With world-famous attractions and lavish hotels scattered all over the city, one can easily label Dubai as an expensive place to visit. But living here for nearly a decade, I have learned that this melting pot is not just for those who have money to burn. 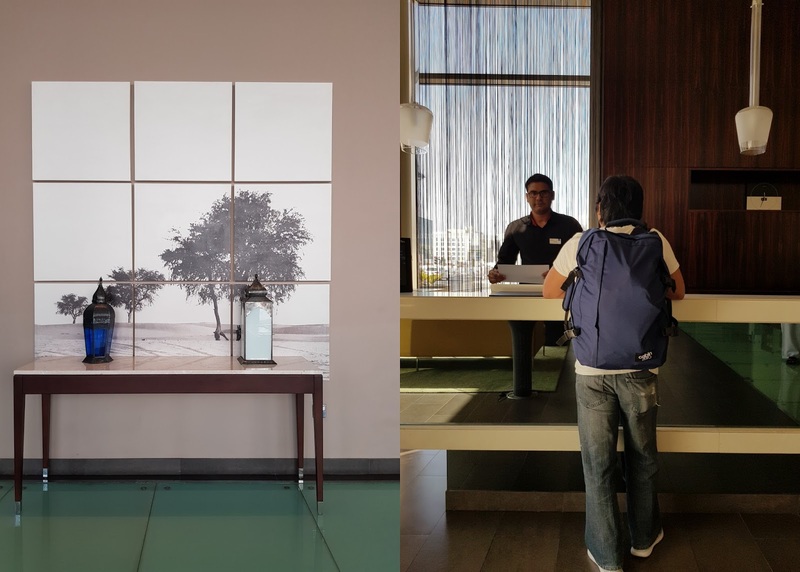 Beyond the fancy lifestyle, Dubai has a string of affordable hotels fit for the new generation of travelers - basically, for those who want to see more, spend less and stay comfortable. Ed and I, being budget-conscious travelers ourselves, can pretty much relate to this! 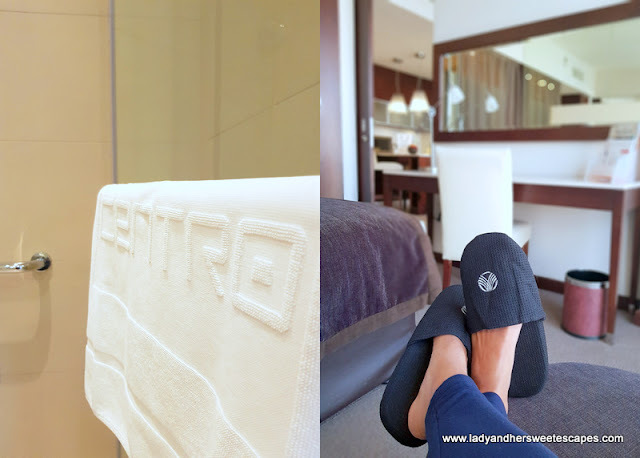 Here in the UAE, one of the hotel brands that we adore is Centro. 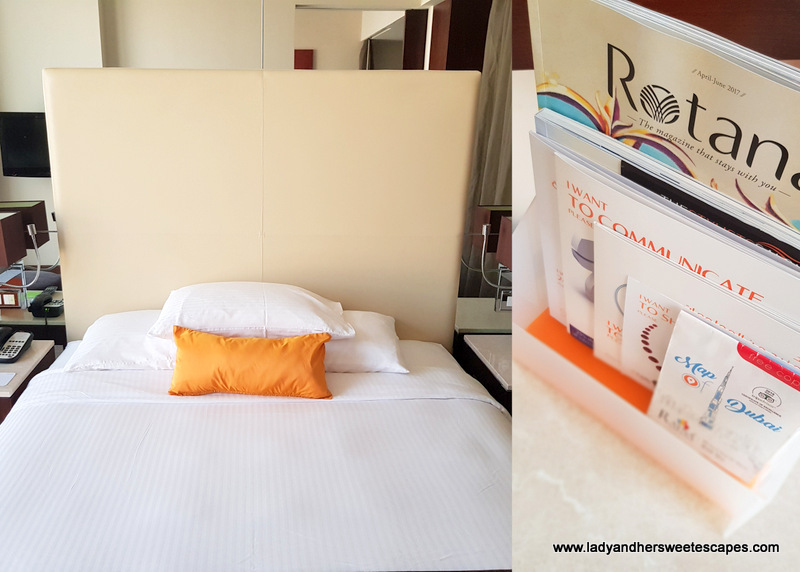 It is an affordable lifestyle hotel brand of Rotana - a trusted name in the hospitality industry. We have stayed in two Centro hotels in Abu Dhabi and one in Sharjah a long time ago, and last weekend, we were in Centro Barsha in Dubai. Centro Barsha is a contemporary 3-star accommodation in Dubai's Al Barsha district. Just like the other Centro hotels we have been to, it exudes a modern flair. The hotel lobby is sleek and accentuated with stylish pieces.. Mall of the Emirates (7-minute walk from the hotel) - one of the best shopping malls in Dubai with a wide variety of retail, entertainment and dining outlets. Dubai Metro - a driverless rail network in Dubai with routes to the city's top attractions, business districts and Dubai International Airport. Sharaf DG metro station is within walking distance from Centro Barsha. Burj Al Arab (5 km away, around 10 minutes by car from the hotel) - the sail-shaped luxury hotel located along the coast of Dubai. The check-in procedure was speedy. We were nicely assisted at the reception. Although we didn't request, they gave us a room facing away from the mosque as the long prayers observed this Ramadan might wake us up in the wee hours. It was nice of them to specifically think about the comfort of each guest. Centro Barsha has 4 types of accommodation to cater to different travel styles and budget. 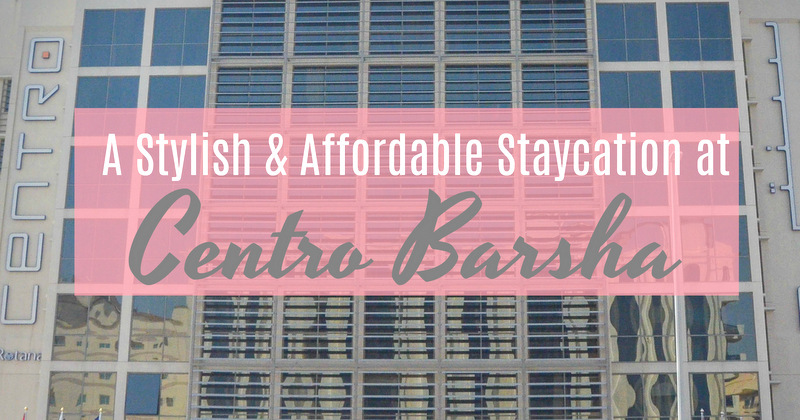 Ed and I have stayed in the most affordable Centro Room in the past and I can still remember how impressed we were as it is meticulously designed and the compact space was maximized. But for our recent stay, we were surprised to receive a room upgrade. We spent the weekend lazing around the Centro Suite! The Centro Suite is a 44-square metre accommodation with a sophisticated living room, a functional kitchenette, a bedroom with a queen size bed, and a spacious private bathroom. It is well-appointed and aesthetically pleasing. I don't mind wasting my precious time in this comfy bed! Good quality bathroom toiletries are provided. Outside the Centro Suite aka our Staycation Haven, are leisure facilities for hotel guests. Day visit passes are also available for a nominal fee. Fully equipped gymnasium - open 24 hours. It is secured and can only be accessed using the room key card. Rooftop lounge - beside the swimming pool are sun loungers and couches where guests can relax and enjoy refreshing beverages. (Drinks are not available at daytime during Ramadan). Free shuttle to open beach and Mall of the Emirates - available on schedule every Sunday to Thursday. This fitness center is open round-the-clock. The rooftop pool opens early (6:30 AM) and closes late (10:00 PM)! 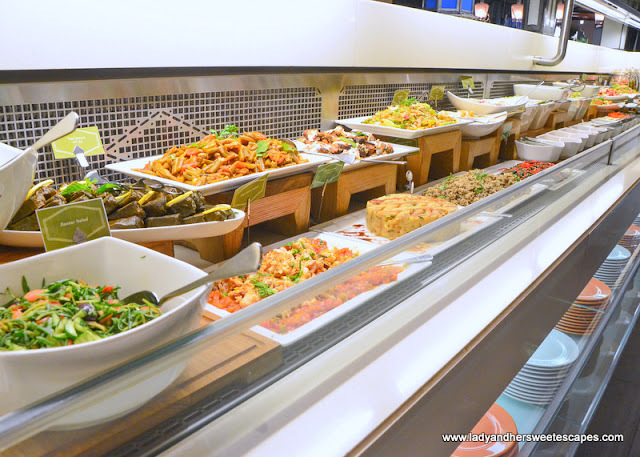 Centro Barsha has 3 dining outlets serving a wide variety of international cuisine anytime of the day. c.taste - the hotel all day dining restaurant serving buffet breakfast, lunch and dinner. A la carte menu is also available. 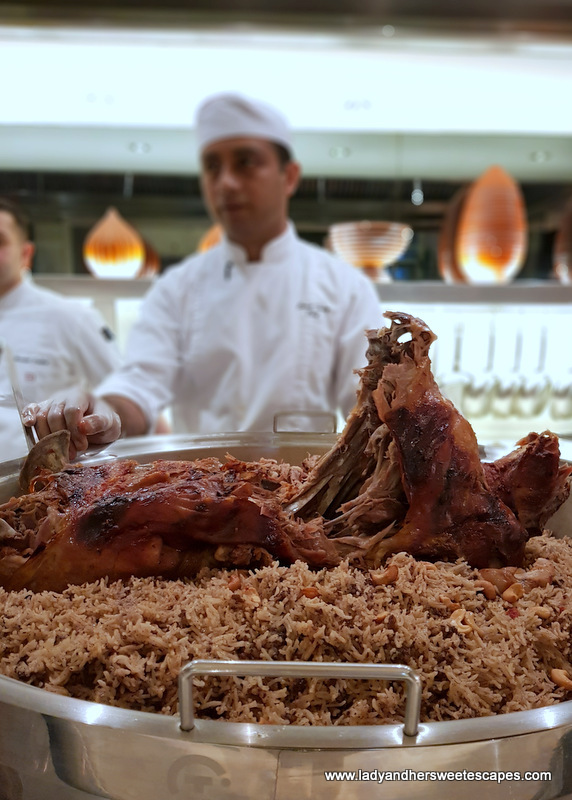 This Ramadan season, c.taste transforms into an intimate venue for a traditional Iftar. Ramadan juices, Arabic coffee, dates and nuts, are served alongside an excellent array of Arabic and International dishes at a very reasonable price of 99 AED per person. c.taste is also Centro Barsha's breakfast venue. 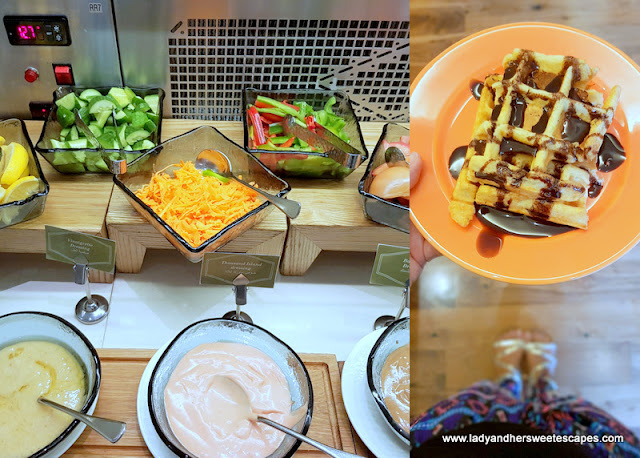 The morning spread includes healthy options, a salad bar, and all the savory breakfast goodies I had in mind... hash browns, turkey bacon, sausage, and whole lot more! Eggs and waffles are cooked upon request at the live-cooking station. 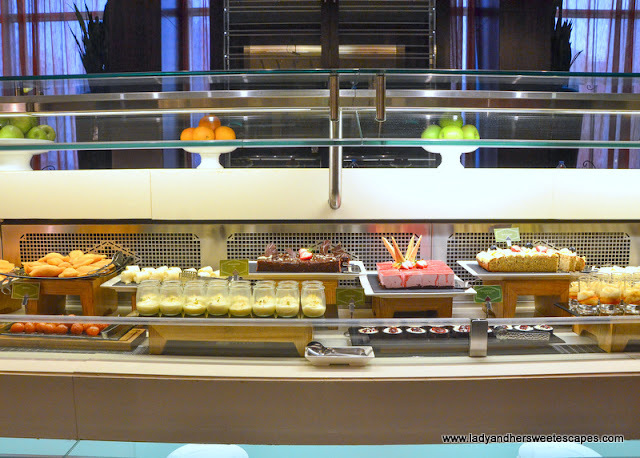 Ed and I had a memorable brunch experience at c.taste three years ago; hence, we were no longer surprised with the kind of service that was given to us during Iftar and breakfast. The staff are well-trained and attentive. A server assisted me when I was carrying two plates. They check if we like the food or if we need anything else time and again. And the restaurant manager gladly offered to bring us coffee when he saw that I was already having my dessert. 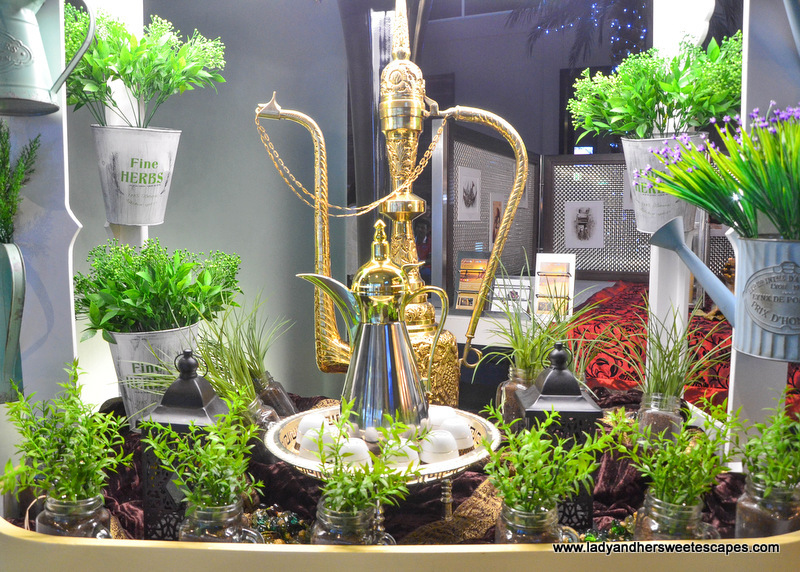 Centro Barsha offers the best value for money! The sleek and contemporary ambiance is perfect for both business and budget-savvy travelers. Service is top-notch. Location is convenient for guests who prefer to stay close to the shopping mall and the Dubai Metro. 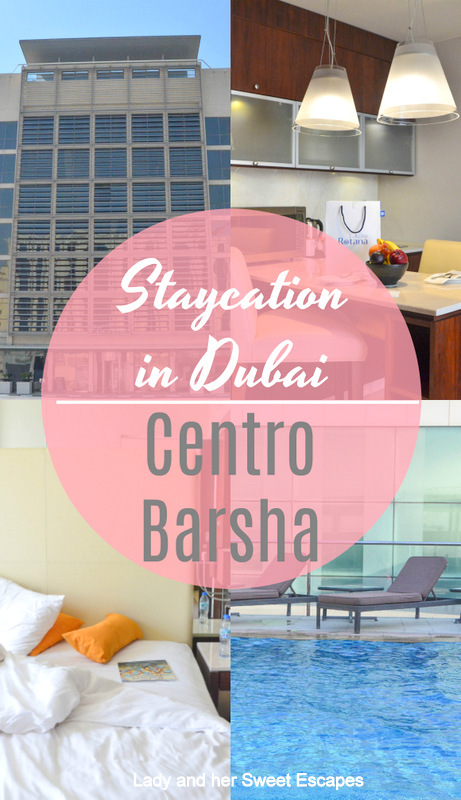 We were invited to stay at Centro Barsha. Opinions in this blog post are my own. I love Staycations! You'll feel relaxed and pampered without the stress of a long drive.